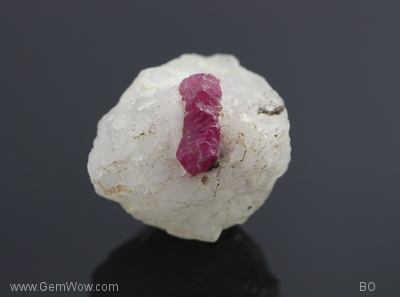 A lovely ruby crystal on calcite matrix. 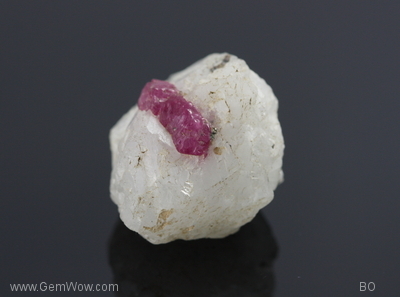 The ruby displays a fine pinkish-red color, and trigons. 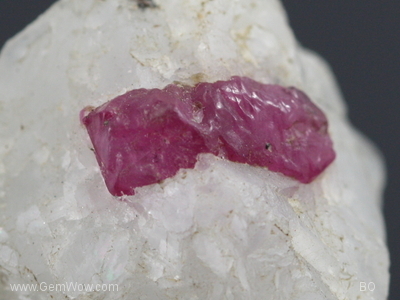 An interesting specimen which will enhance any collection.